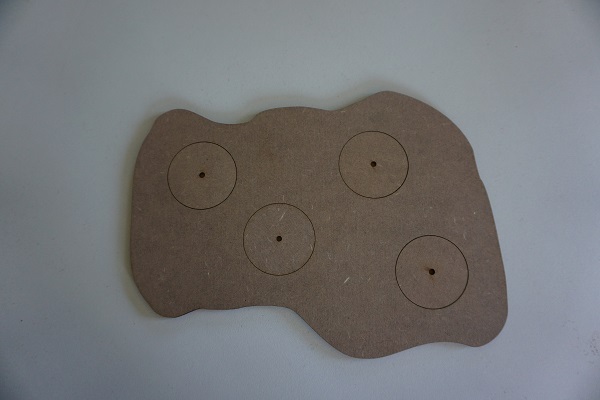 This MDF base measures 190x260 mm . 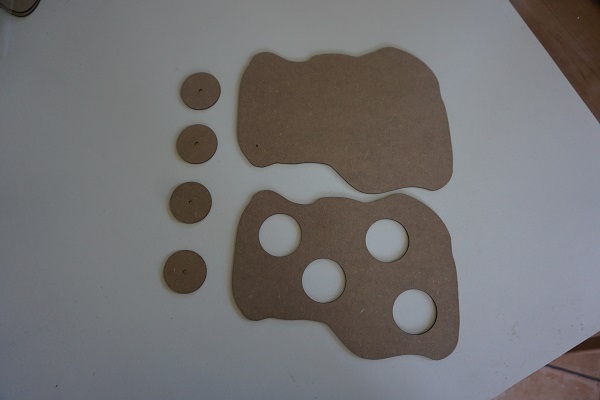 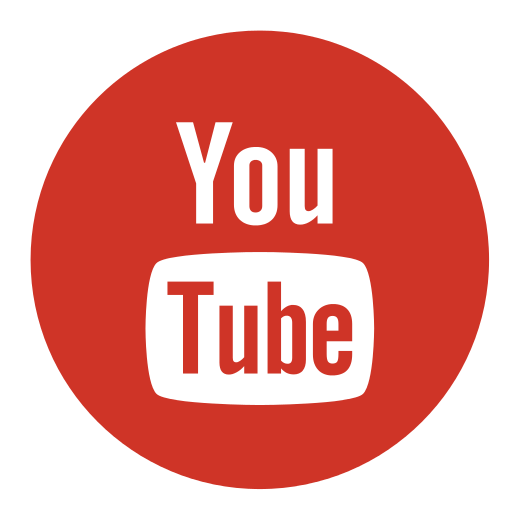 It is composed of a plain layer, a top layer with four 50 mm insert, and four 50 mm bases to fill them. 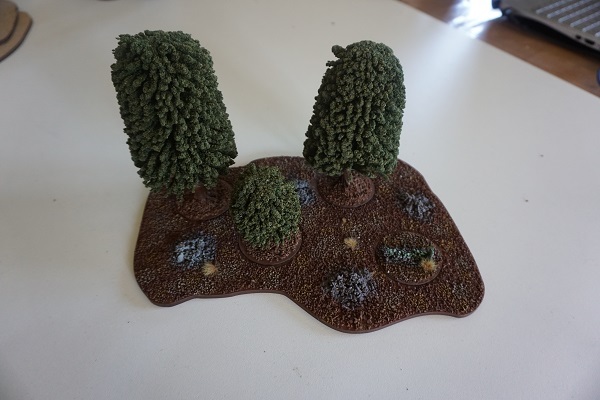 The four bases are removables to easily place your figures on the scenery and to ease the transport. 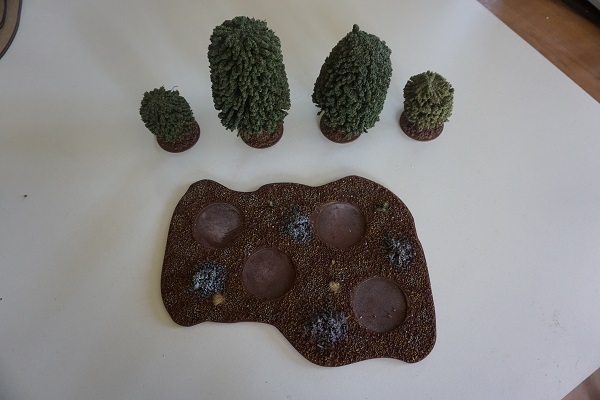 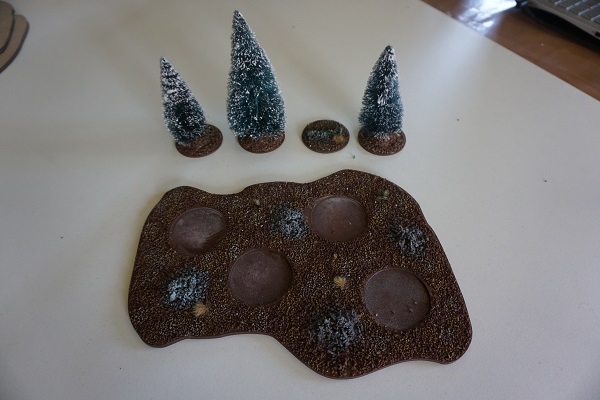 You can also buy additional bases to swap trees according to the theme of your table.